METACONCEPT Group supplies many different high quality minor metals and their alloys in different forms: ingots, granules, lumps, turnings…We supply Calcium metal both of Electrolytic and Aluminothermic quality. We permanently keep on stocks Calcium metal and Calcium Aluminium alloys in different forms, Calcium-Aluminium of different grades. We supply as well many other minor metals such Arsenic, Antimony, Selenium, and others. 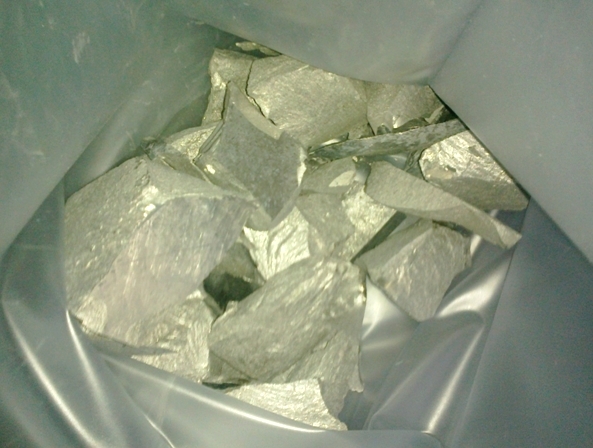 Pure calcium metal purity 99%. Sealed steel drums with inside plastic bag under argon. The main application fields: metal industry, lead industry, lead/calcium car battery manufacturing. Calcium and aluminum are used by the metallurgical industry for a variety of purposes. In ferrous metallurgy, for example, they are used extensively today in their incorporation into lead, generally together with tin, to form the grids for maintenance-free auto batteries. The addition of calcium to the lead not only aids in fabrication of the grid but also markedly reduces gassing during battery operation, thus permitting the battery to be sealed. The presence of aluminum and tin further improves the mechanical and electrical properties of the grid. Calcium alloys such as tin calcium alloy and lead calcium alloy are primarily used in batteries, or other electrical equipment which requires a compound with exceptional energy transfer properties. The main use of calcium alloys is in the manufacturing of electrode grids in automotive batteries. Until several decades ago, antimony was used to manufacture these electrode grids, but during the early 1980s, calcium alloys became the material of choice for battery manufacturers. This resulted in longer lasting batteries, which discharge more evenly, and are able to be recharged many more times than the older antimony type batteries.